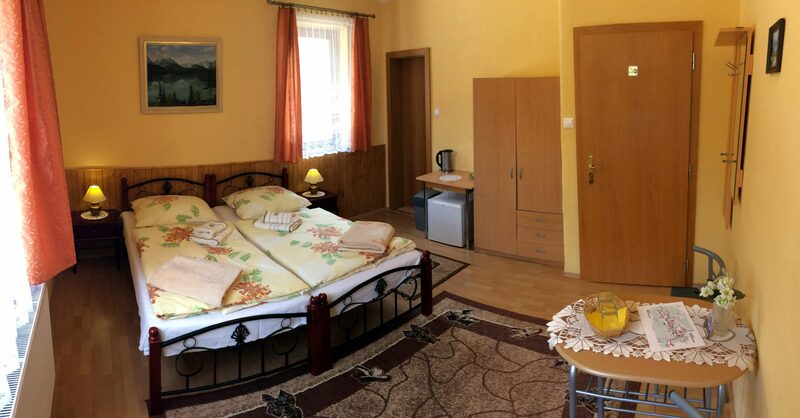 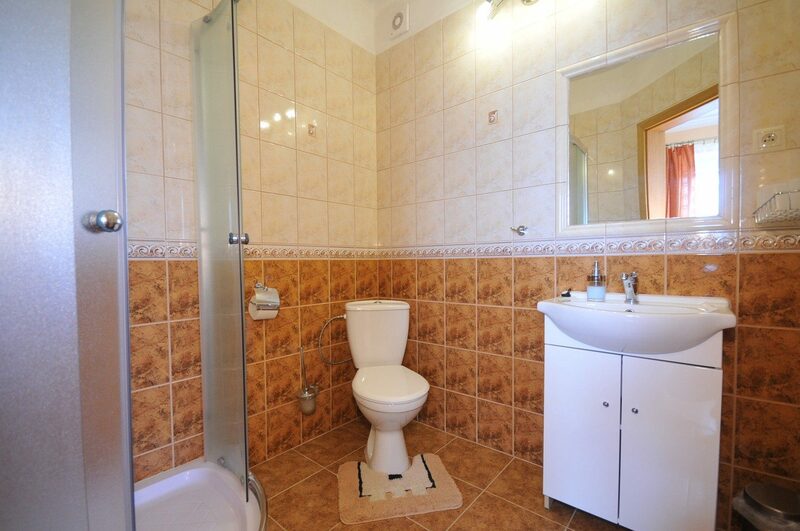 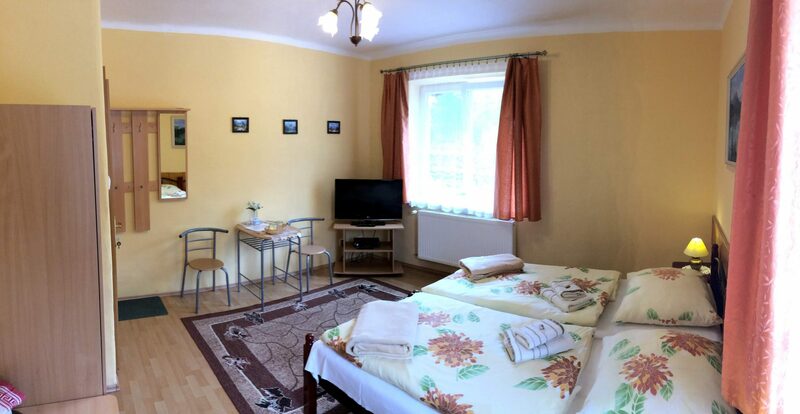 Double room is equipped with TV-Sat, Wi-Fi, electric kettle, fridge and private bathroom. 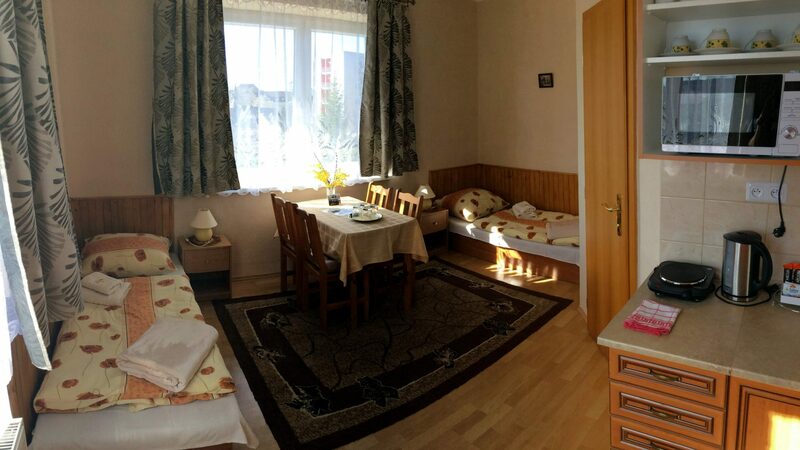 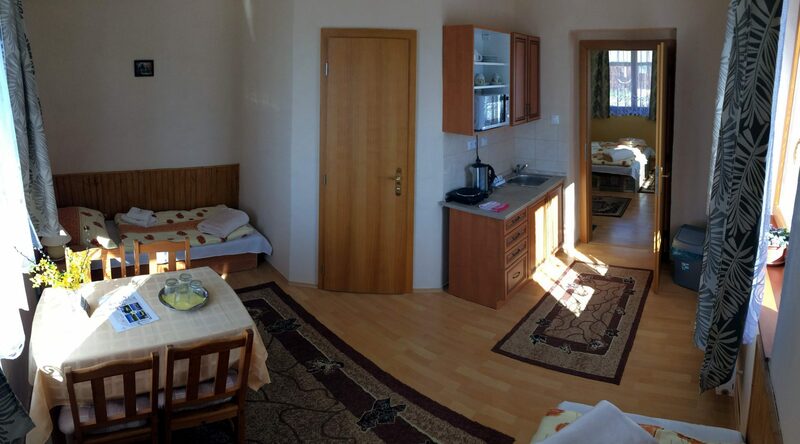 Apartment consists of two rooms, kitchen and bedroom. 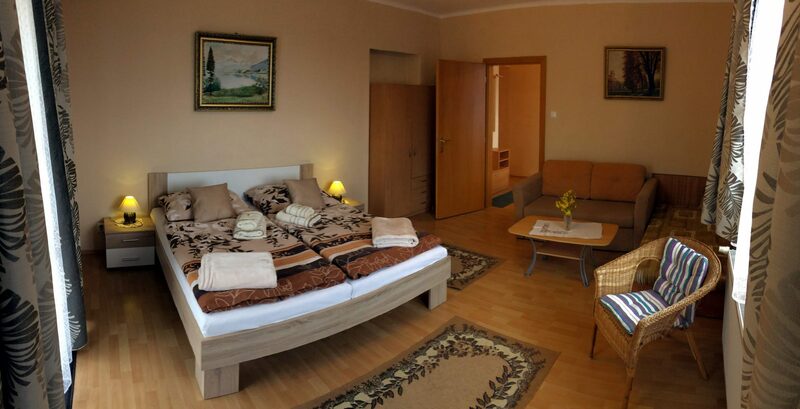 In the bedroom there are 3 fixed beds with the possibility of adding extra bed. 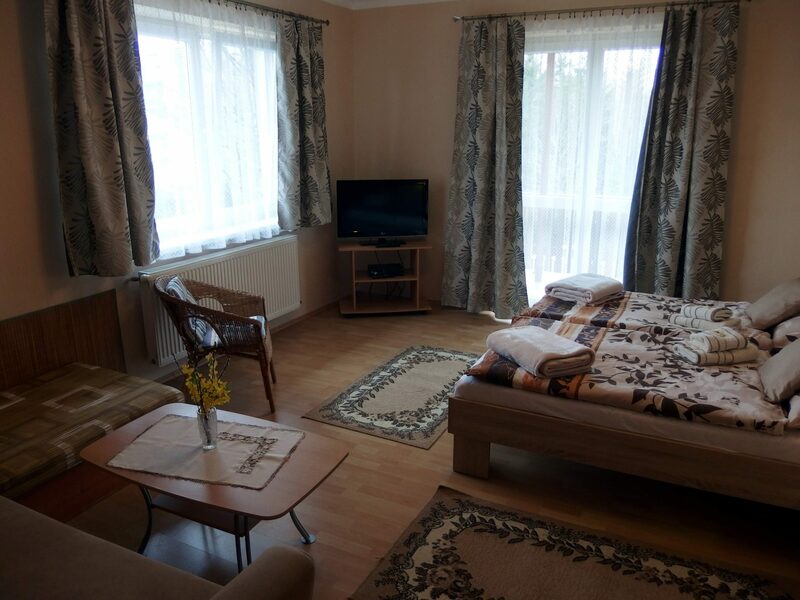 The room is equipped with TV-Sat, Wi-Fi, electric kettle, fridge, microwave oven, balcony and private bathroom. 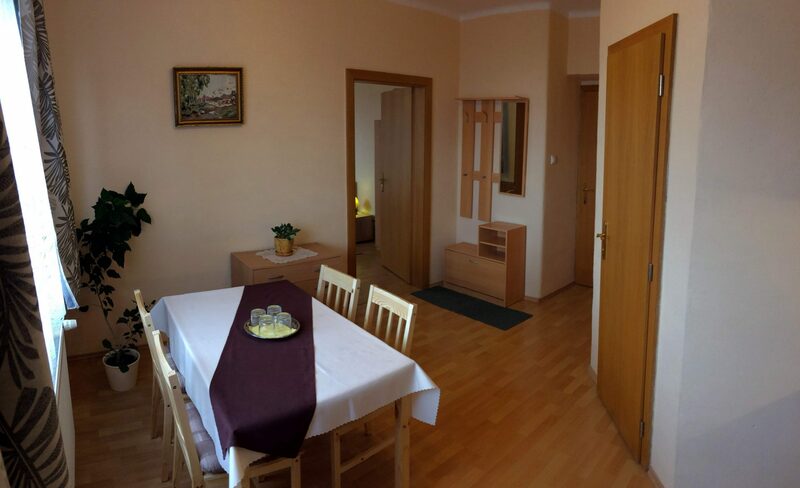 Family room consists of two rooms with each consisting of two beds. 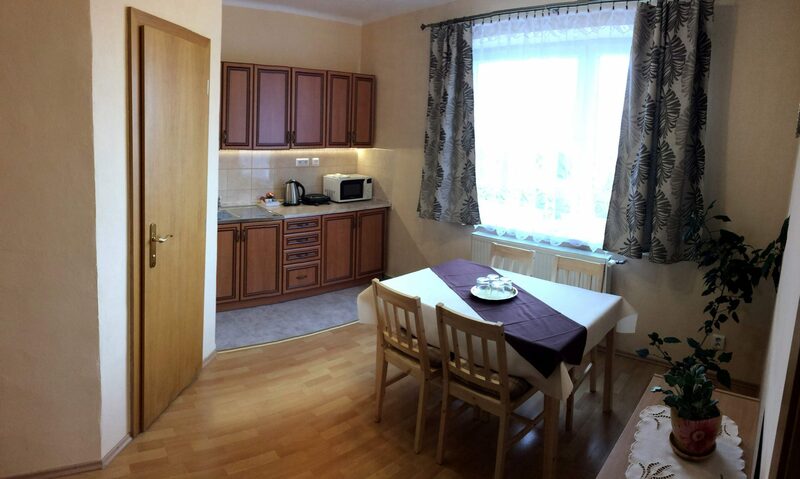 It is equipped with TV, Wi-Fi, electric kettle, fridge, microwave oven and private bathroom.